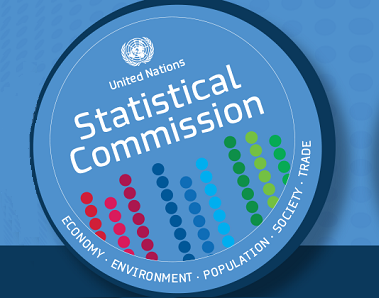 The United Nations Statistics Division (UNSD), in collaboration with the Economic Commission for Africa (ECA), the Statistics Division of the Food and Agricultural Organization of the United Nations (FAO), organized a Regional Workshop on the measurement of Asset Ownership from a Gender Perspective in Addis Ababa, Ethiopia, from 24-26 July, 2018. The workshop was organized under the Evidence and Data for Gender Equality (EDGE) project and brought together national statisticians of 13 Anglophone countries in sub-Saharan Africa. The purpose of the workshop was to train NSO participants in the region on how to collect data on asset ownership at the individual level by presenting key recommendations and providing practical advice based on the UN Guidelines on the Production of Statistics on Asset Ownership from a Gender Perspective. The United Nations Statistics Division (UNSD), in collaboration with the Asian Development Bank (ADB) and the Statistics Division of the Food and Agricultural Organization of the United Nations (FAO) organized a Regional Workshop on the measurement of Asset Ownership from a Gender Perspective. The workshop was organized under the Evidence and Data for Gender Equality (EDGE) project and brought together national statisticians to discuss the concepts and methods outlined in the UN Guidelines on the Production of Statistics on Asset Ownership from a Gender Perspective through Household Surveys. The UN Statistics Division and the UN Women, in collaboration with the Kitakyushu Forum on Asian Women (KFAW), organized a Mid-term Review Technical Meeting of the Evidence and Data for Gender Equality (EDGE) initiative. Standing at the mid-point of the project, the meeting took stock of progress made by the EDGE initiative to date since its inception in 2013.